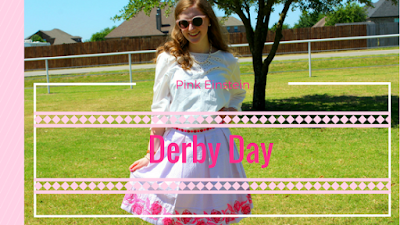 The Kentucky Derby was a couple of weekends ago and every year my mom and step dad go and watch the derby with my step dad's family. 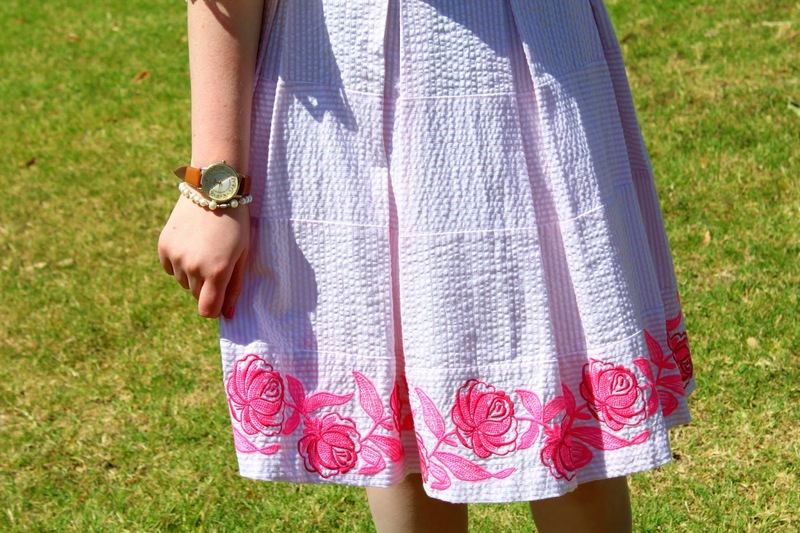 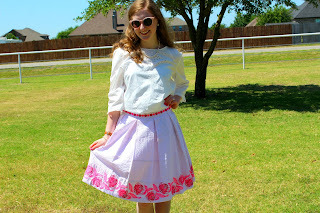 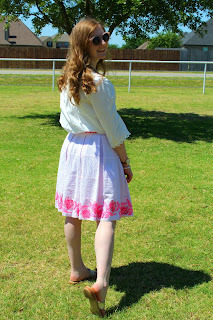 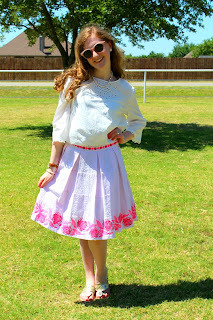 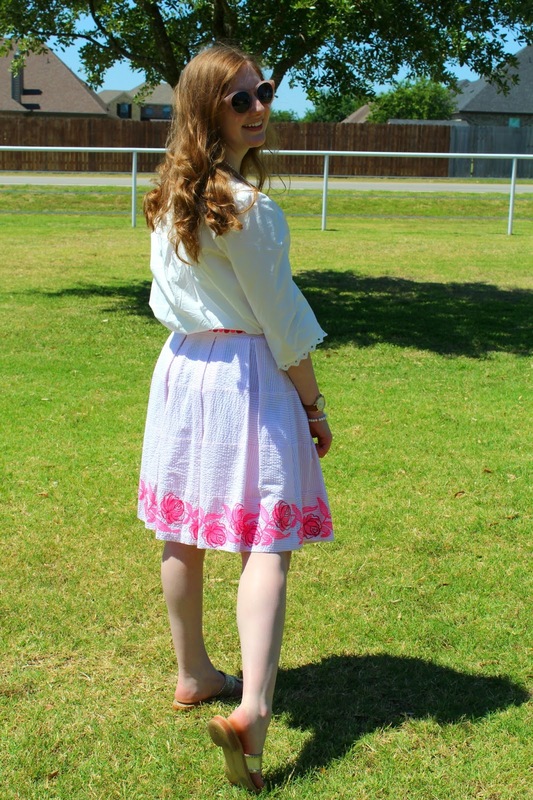 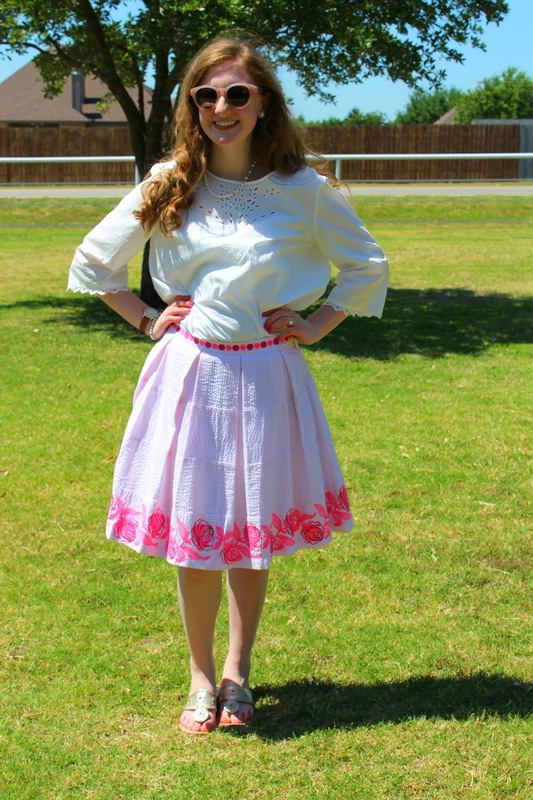 I recently purchased this Vineyard Vines skirt from their derby collection and I love how I styled it. So here is a little derby outfit inspiration- minus a big, fun hat! 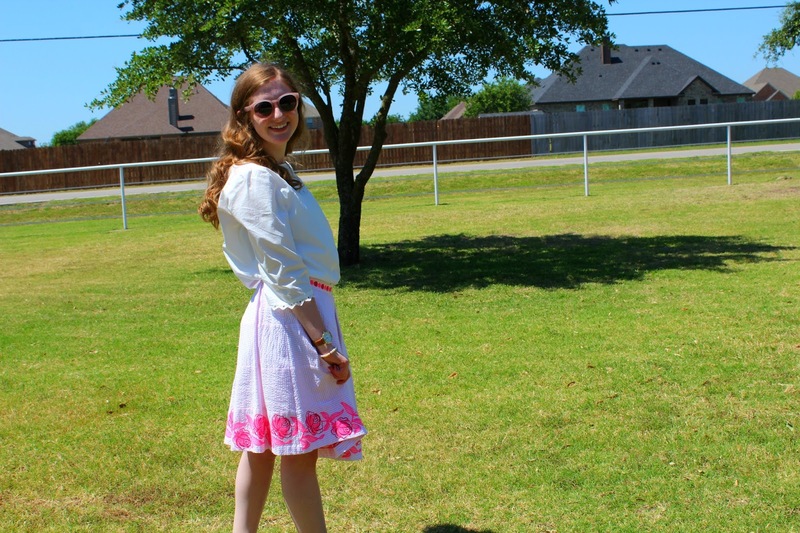 This gorgeous skirt was originally $148 but I got it on sale for $48 and is from Vineyard Vines. 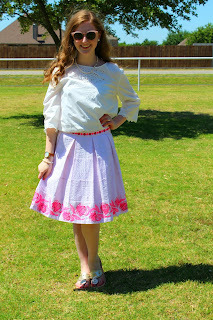 Sadly, I could not find this skirt on their website. 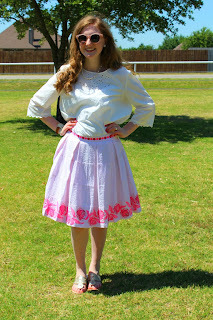 I wore my Kate Spade scalloped watch and my fresh water pearls. 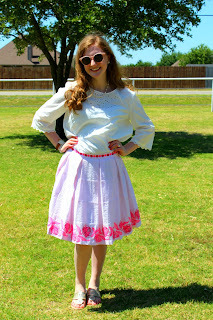 My shirt is by Ivanka Trump and you can see better pictures of it in this post. 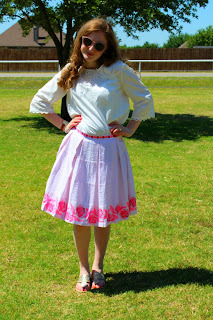 This shirt was the only white shirt that I liked with this skirt. Even though it's kind of puffy tucked into the skirt, It didn't look right untucked. And as always, I paired my outfit with my Platinum Jack Rogers.